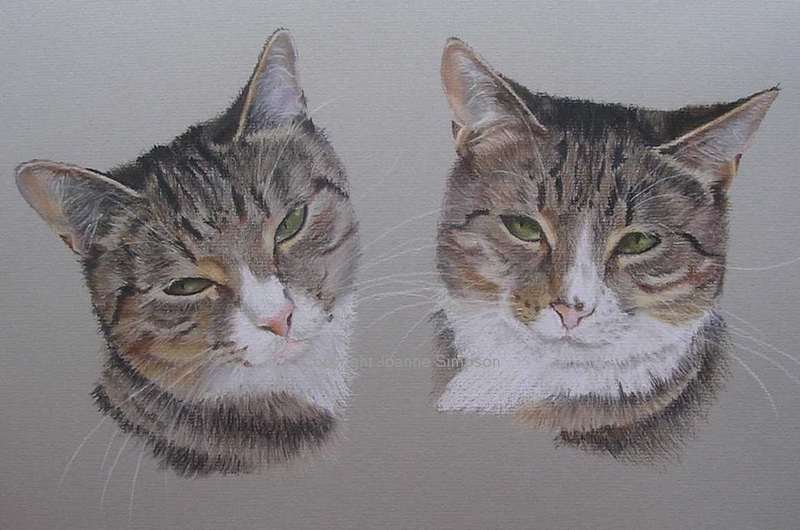 Pastel pet portrait commission of Pickles and Poppy, two tabby and white cats, who are brother and sister. 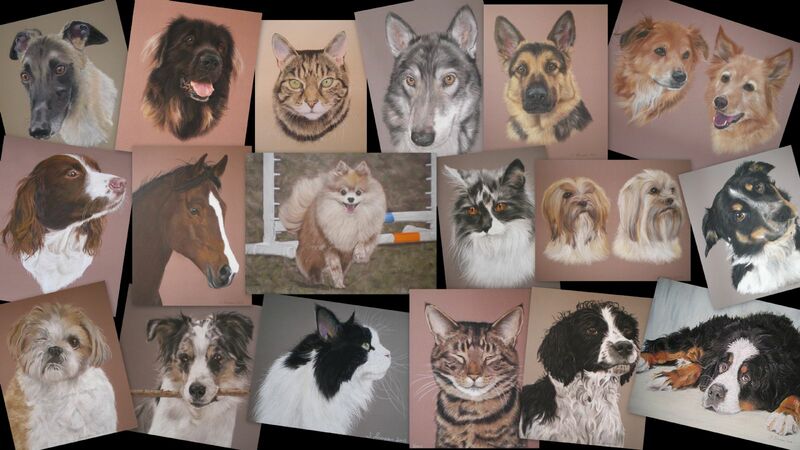 They were particularly hard to draw as they had so many colours in their fur. I love it, - thank you so much. It is amazing how you can achieve the likeness from a photo when you havent even met the subject yourself.